The concept of an organized home has been a staple of design for as long as we can remember. 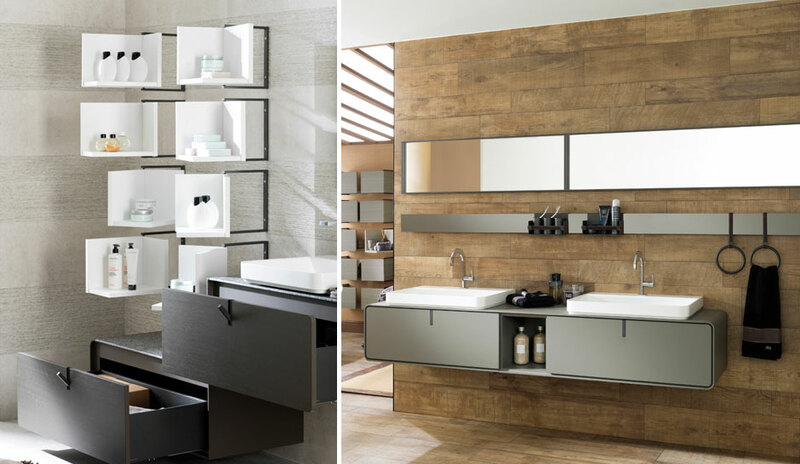 Whether you are clinging to a fresh new years’ resolution or were bit by the cleaning bug, read on for some great Porcelanosa products to control clutter. The K Towel Rail is a ladder-like shelving system made of our Krion Solid Surface material. 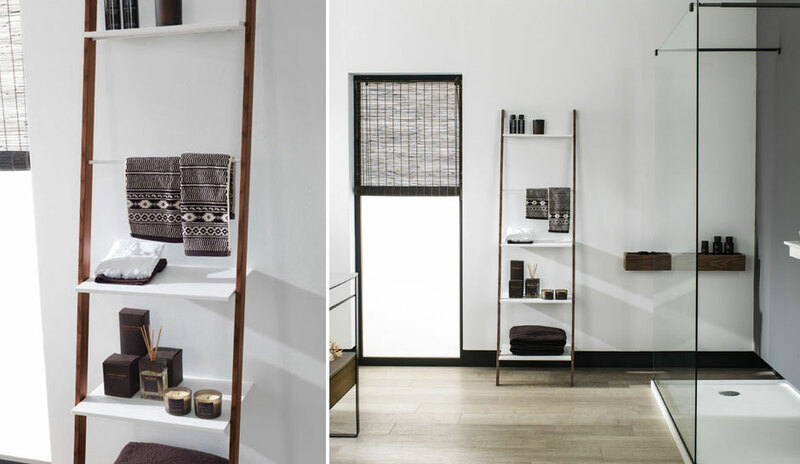 Organize your bathroom and beauty products without sacrificing style. Available in Roble Oak finish or Krion Lux finish. The Ciclo Vanity Series is a modern way to store your accessories. Its sleek design and natural materials are created and arranged for satisfying all our senses. Its wide range of possibilities lets us create multiple compositions, so we can achieve the ideal place for pampering our body. Nothing says messy like a cluttered kitchen counter-top. 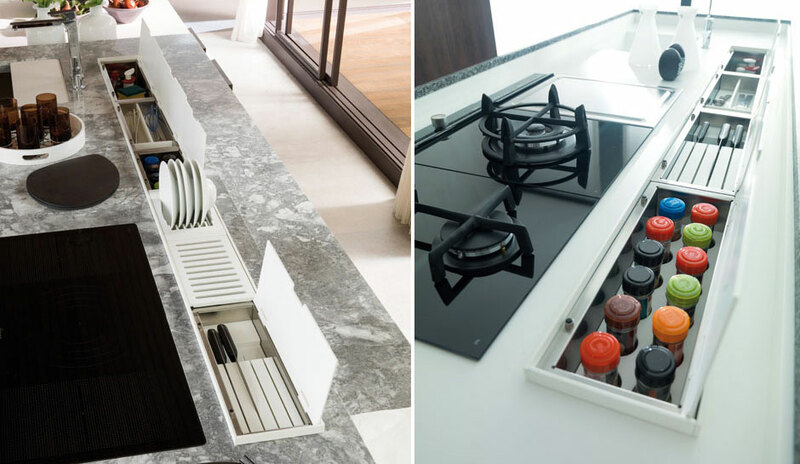 From spice holders to knife storage, keep your utensils neatly organized with Porcelanosa kitchen accessories. If you are looking for more of a custom design, consider Porcelanosa’s Krion Solid Surface and create your own pieces. Krion® is a non-porous, uniform material, made of one-third organic material (high-quality acrylic resin) and two-thirds natural minerals (alumina). It is a new generation of solid surface that is a warm material to the touch and similar to stone. Krion® allows the ability to cut sheets of material that you can then join and thermoform together to create curved pieces. With this ability Krion® is able to create one seamlessly smooth surface. This offers the possibility to use Krion® to create unique designs that are unattainable with any other material. 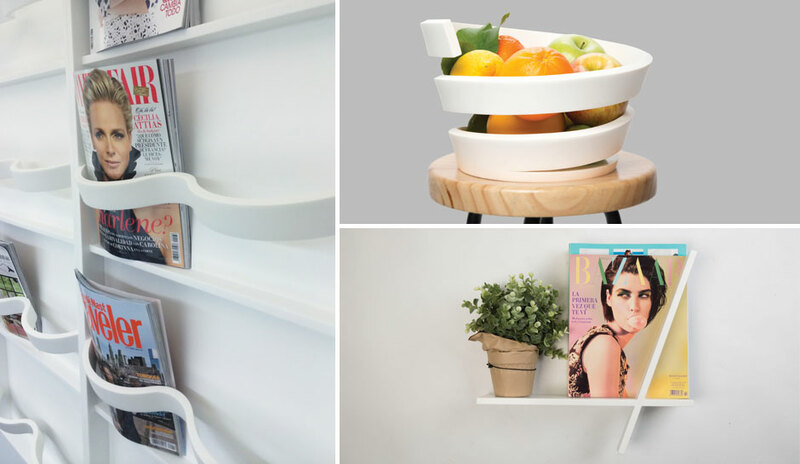 Create fruit bowls, magazine racks, shelves, and more. Contact a sales rep today for more information! For more organization inspiration, follow our IDEA BOOK on Houzz.